This month I have invited creative investors David and Julie Siacci to demonstrate how ‘property options’ can be combined with a renovation strategy to profit without ever actually owning the property! 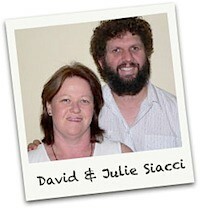 Despite coming from working class family backgrounds, Dave and Julie have completed over 150 property transactions. They quit regular employment in 2006 and have lived off their property portfolio ever since. Julie and Dave will be revealing how they control and renovate properties without needing deposit money or even bank finance. They’ll also show how the numbers in a renovation deal can be substantially improved using these creative techniques (and it has nothing to do with negotiating discounts, using cheap materials, or even how you renovate). In fact, the techniques they will discuss at the property meeting can turn what seems to be a dud reno deal into a profitable opportunity! Make sure you secure your place on line below or pay at the door! 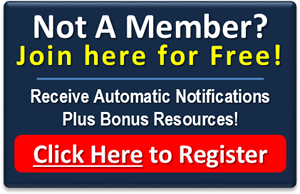 It is free to become a member and get automatic monthly meeting notifications so that you make sure you don’t forget about upcoming meeting just like this one. To become a member is easy – just click here. Posted on June 2, 2016 by Tony L.